If you have sensitive skin, you must be all too familiar with the feeling of dread that hits you every time you consider applying a new lotion or moisturizer to your face. With sensitive skin, it can be tough to be sure about a product’s claims to heal and nourish it. But you need not worry anymore. 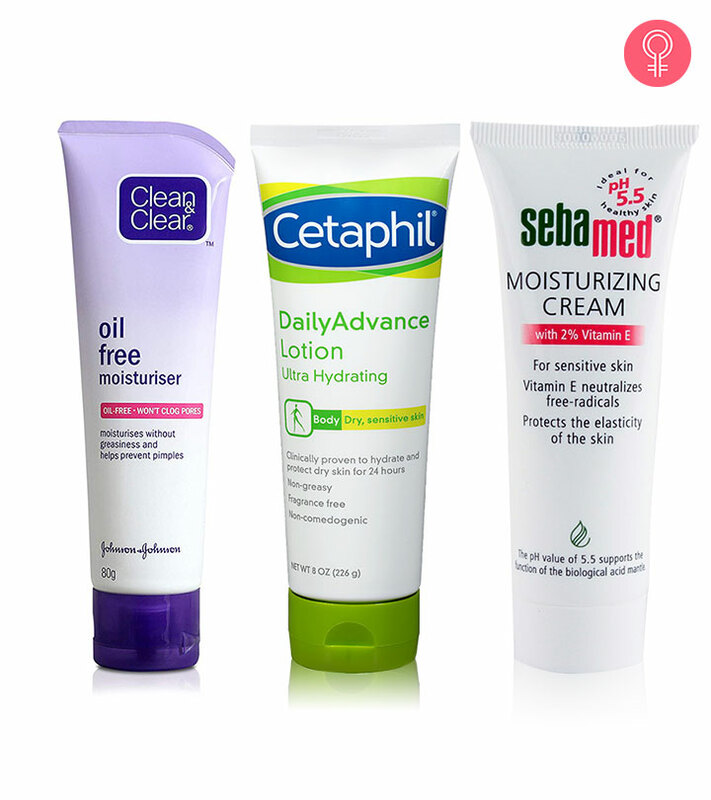 Here’s our list of the 10 best moisturizers for sensitive skin. Read on. 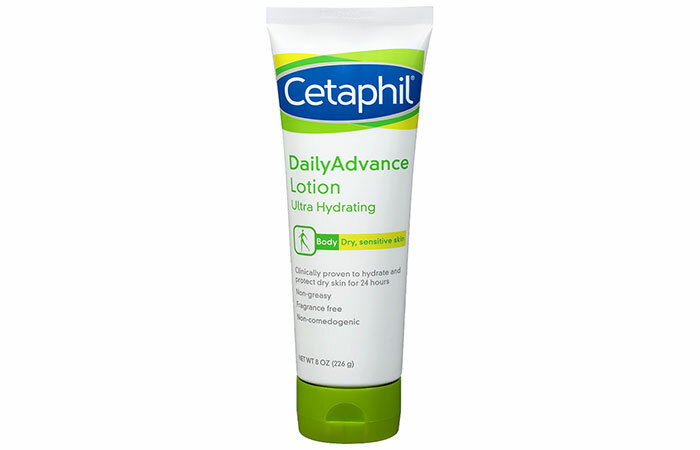 Cetaphil Daily Advance Ultra Hydrating Lotion is an ideal full body moisturizer that nourishes dry and sensitive skin for up to 24 hours. The formula contains Epidermal Replenishing Complex 5 – a unique combination of five key ingredients that protect dry skin and provide intense hydration. The lotion keeps your skin moisturized even in harsh winters without irritating it. 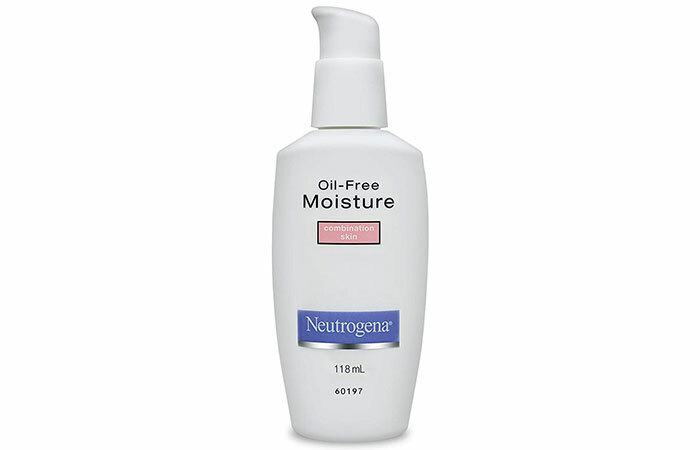 Neutrogena Oil-Free Moisture for Combination Skin is a lightweight, dual-action formula that moisturizes dry areas while controlling oily shine on the T-zone and wherever the skin feels greasy. The result is skin that feels soft and smooth with a matte finish that lasts throughout the day. The hydrating cream gets absorbed very quickly, without feeling heavy on your skin. 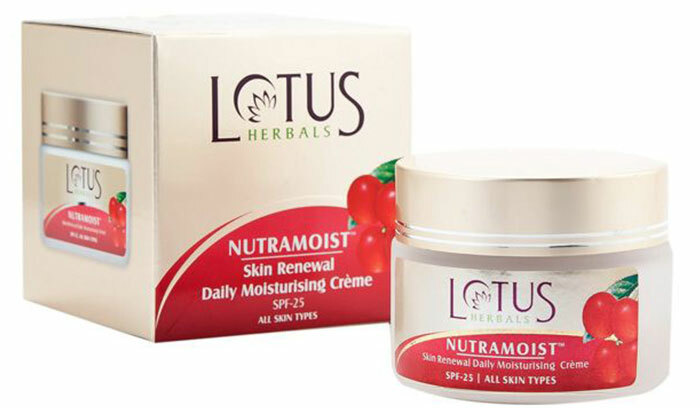 Lotus Herbals NutraMoist Skin Renewal Daily Moisturising Crème is a luxurious moisturizing cream with SPF 25. It contains extracts of cherry, plum, and alpha hydroxy fruit acids that provide long-lasting hydration. They also enhance the capability of the skin cells to retain moisture for a long time. This cream is enriched with natural antioxidant, astringent, and antiseptic properties that heal and nourish sensitive skin. 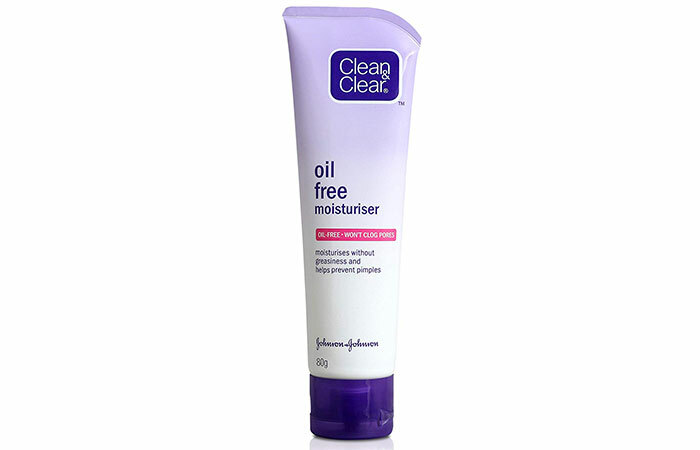 Clean & Clear Oil-Free Moisturiser hydrates your skin and gives you a soft, smooth, and non-greasy complexion. It prevents your skin from feeling rough and dry and does not leave behind any greasy residue. It contains salicylic acid, which fights pimples and blackheads to give you radiant and clear skin. While it is recommended for dry skin, it can also be used to nourish oily and combination skin types. 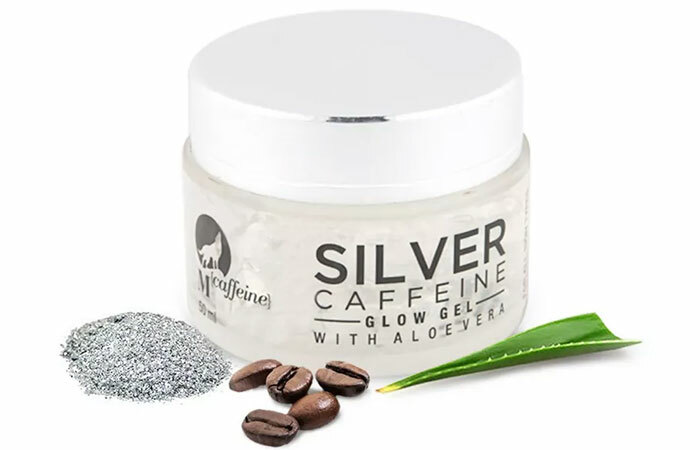 MCaffeine Silver Caffeine Glow Gel is a luxurious treatment for your skin. It contains pure silver nanoparticles that penetrate the skin and act on the bacteria that cause various skin problems. Caffeine contains antioxidant properties that fight free radicals, prevent premature aging of the skin, and reduce puffiness. Aloe vera moisturizes the skin without causing any oiliness. 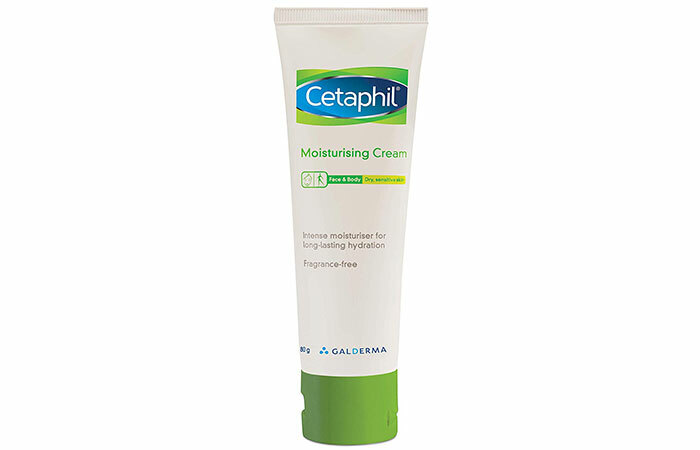 Cetaphil Moisturising Cream is a rich moisturizer that provides intense hydration and replenishes sensitive, dry skin. This is a unique formula with humectants and emollients that bind water to the skin, preventing moisture loss. This cream soothes dry skin and gives immediate and long-lasting relief. Regular use leaves your dry skin feeling soft and smooth to touch. 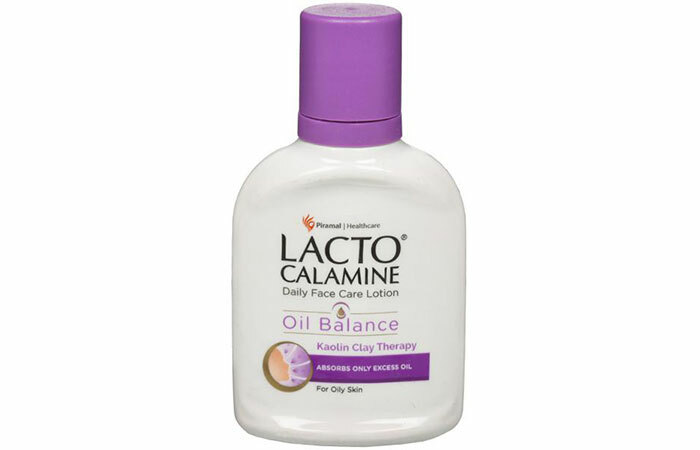 Lacto Calamine Daily Face Care Lotion is specially formulated for oily skin and provides oil balance for up to 8 hours. It is a clay-based lotion with unique Kaolin clay therapy. Kaolin clay contains natural minerals that act as exfoliants and help in removing dead skin cells. The cream has a unique 3-way action that gives you soft and supple skin every day. This is a moisture-rich soothing gel that contains bamboo extract from Damyang. 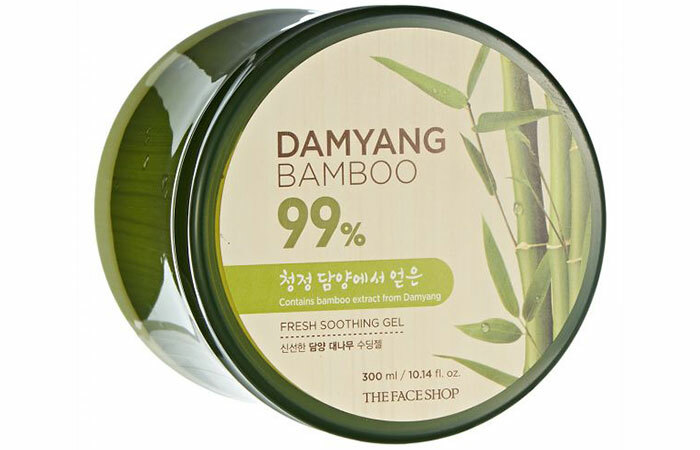 The Face Shop Damyang Bamboo Fresh Soothing Gel is a multipurpose moisturizer that can be used on the face and body. The gel-like texture massages the skin with moisture, leaving it soothed. This moisturizer can also double up as a face pack, an after-shave gel, a makeup primer, a sleeping mask, or an after-sunburn soothing mask. 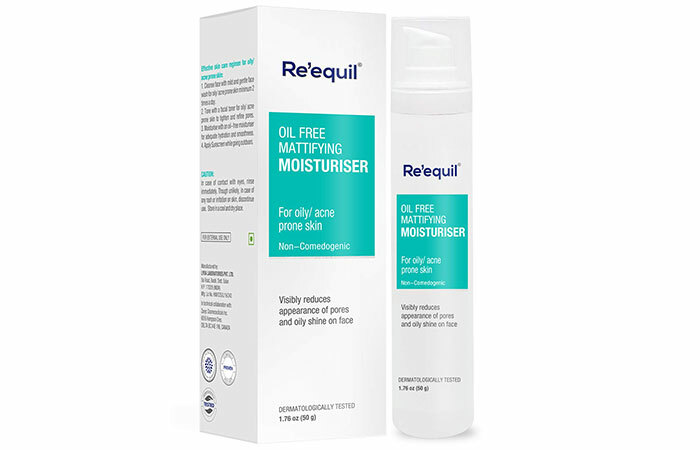 Re’equil Oil-Free Mattifying Moisturiser contains cydonian green apple tree leaf extract, which reduces pore appearance and smoothens the rough and uneven surface of the skin. It is a gel-based moisturizer that reduces breakouts and hydrates the skin deeply, lending a mattifying look to your complexion. 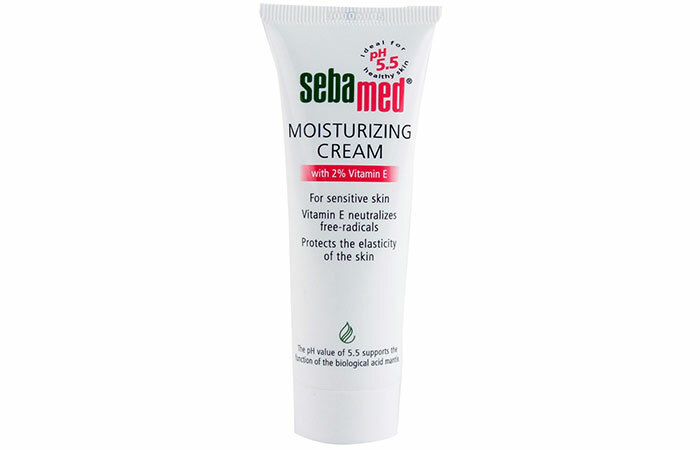 Sebamed Moisturizing Cream is enriched with a high content of vitamin E, which protects your facial skin from long-time exposure to aggressive environmental influences and free radicals that cause premature skin aging. The moisturizing complex replicates the Natural Moisturizing Factors of our skin to prolong cellular elasticity and make the skin smooth and supple. 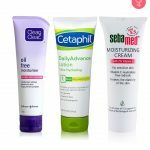 Now that you know about the best moisturizers to hydrate sensitive skin, go ahead and include any of these in your skin care regimen and see your skin transform. Let us know about your experiences in the comments below.